Set in a charming piazza south of the river, I’d seen this place recommended online so headed there for my first lunch. It was pretty full on arrival, but a waiter saw me hovering and said he could clear a table for me outside in a few minutes. He was speaking literally, because I waited less than 5 to be seated – yet I was still brought a glass of prosecco for my troubles! I was already sold. Said waiter was really helpful with translating the menu, and I decided to go for the pear, gorgonzola & asparagus tortellini. I can’t say I’ve tried a pear and pasta combo before, but this was incredible – the sharpness of the cheese cutting through the sweetness of the fruit with every bite, and beautifully presented. He did, however, promise to make me an excellent sandwich, and he was true to his word. This was pork, vegetables & fried potatoes, and it was delicious. Serving up tapas-style food, this place has a small menu full of strong flavours. It’s definitely ‘cool’, but it kind of falls victim to the idea of concept for the sake of concept. Instead of giving your food order verbally, you write it down on a chalkboard to give to your waiter… of course, you could actually say your order more quickly, and seeing as you still order your drinks by mouth it all seemed a bit of a redundant additional step. But hey, writing in chalk is fun. I chose three dishes: a wonton raviolo with vegetables & pomegranate, crudo di manzo (raw beef) with a pear & truffle sauce and an incredible bowl of octopus & chorizo. Staff were friendly but perhaps a little too attentive. Despite the restaurant not being that busy the waiters were hovering constantly, ready to whip up a plate as soon as it was clean. I felt a bit rushed, which was a shame because the food really was fantastic. There’s no doubt about it – Florence is a city fuelled by wine. By the glass, by the bottle, morning, noon and night, wine is the one constant to life here (so naturally I felt right at home). A standout glass of vino for me was at this super chic wine bar just outside the Pitti Palace. The waiter recommended a wine based on my preferences, and it arrived in a form of near-perfection: bone dry, with some fresh focaccia courtesy of the chef. Blink and you’ll miss it, this tiny wine shop is easily obscured by the bustling market stalls outside. Full of locals coming and going, there’s not much English spoken here, but the owner was happy to help with choosing a wine and I certainly wasn’t made to feel out of place. 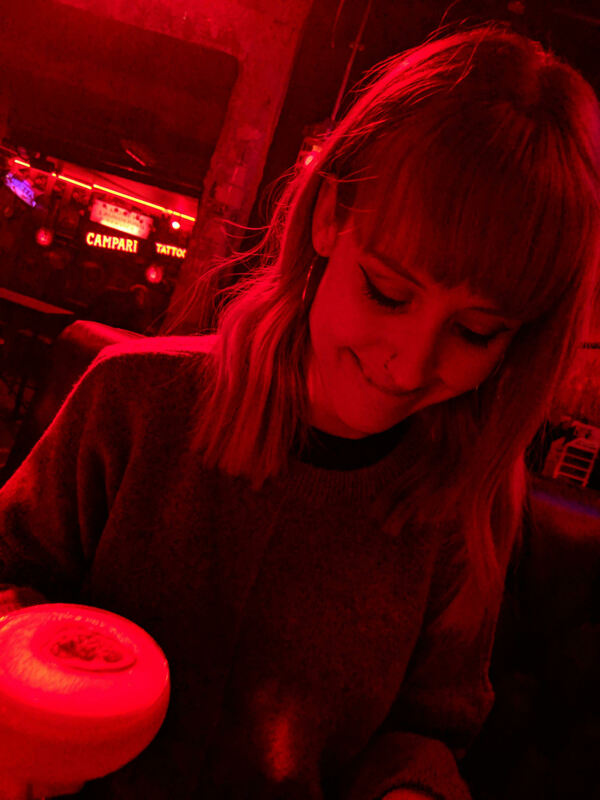 It’s mostly standing room only, but I managed to grab a barrel and take the weight off for ten minutes while enjoying the atmosphere – and when your drink only costs 3 euros, what’s not to love? This place has a pretty good cocktail list. 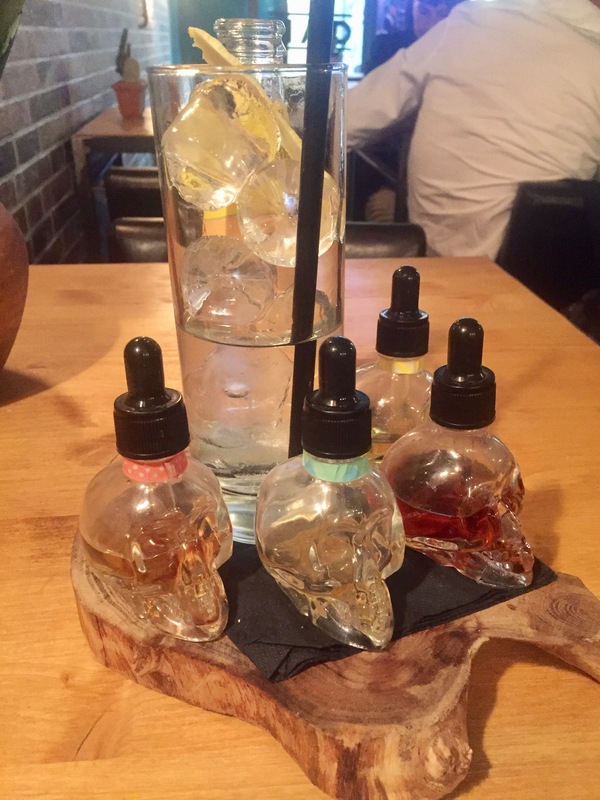 My gin & tonic came with a cool twist: four little skulls complete with pipettes to infuse your drink as you please. Flavours included cinnamon, cardamom, citrus and absinthe. Also came with with loads of complimentary snacks, so good value for money. A bit of a hipster joint that seamlessly blends coffee and gin consumption in the same environment. I opted for the Bulldog from their extensive gin list, and again it arrived with plenty of crisps and olives for nibbling (I swear you could survive in Florence on the free snacks alone). Super friendly service and a chilled atmosphere, and notably quite a few people enjoying a drink alone. People were actually really welcoming and responsive to me being alone. I wasn’t ever made to feel like an outsider, which made everything so much nicer. I always had a book on hand, just in case, but I actually didn’t read as much as I thought I would. Often it was just nice to enjoy my own company and enjoy the surroundings – especially when sat outside in the beautiful weather. There were still some moments when I wished I had someone to share the experience with, or would’ve liked a bit of company, but this didn’t take away from my solo dining experience, which was wholly positive.